Most tripods have a center column, enabling the user to extend the height of the tripod significantly above the apex. This allows them to quickly and accurately change the height of the camera and carry a smaller tripod, while still allowing the camera to reach eye level. However, from experience, we all know that raising the camera up on the center column makes the camera more prone to vibration. 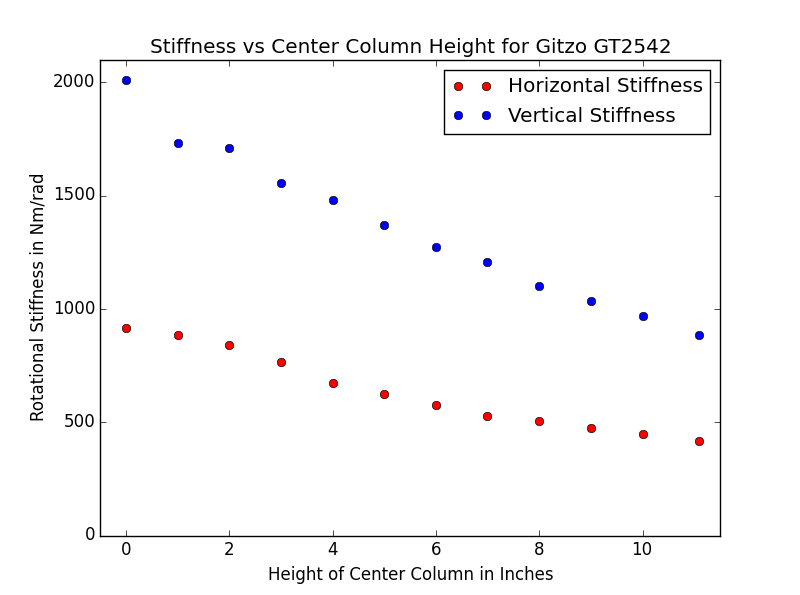 In this post, we will quantitatively look at the stiffness versus how far the center column has been extended. I will be using the same torsion spring test found elsewhere on this site. I have chosen to analyze the Gitzo GT2542 Mountaineer Series 2 tripod for this test. 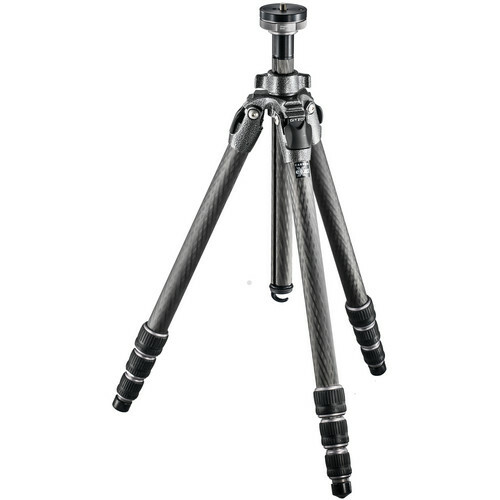 The Gitzo Mountaineer is very well built and represents the most modern design in an all around tripod. It has put up good stiffness numbers with the center column down and should provide a reasonable shot at the best case scenario for a center column. I would expect the removable center columns on systematic style tripod to be stiffer, but degrade the performance of the system overall more, and the center columns on low end tripods to be worse. I will hopefully do more of these tests in the future, but will not include it as part of my standard test sequence unless some unexpected patterns emerge. Both the axial stiffness (horizontal camera movements) and radial stiffness (vertical camera movements) decline by about 55%, to less than half of their original values. The camera will be twice as sensitive to vibrations, wind, hand pressure, etc. at the top of the center column as opposed to the bottom. This decline in stiffness represents a fall from what is a very stiff tripod, to one that would be rated mediocre or poor. I am not here to decry center columns all together. They are very useful tools, especially when height adjustments need to be made quickly and accurately. Center columns are also useful for making compact tripods that can easily fit into a small bag, but still reach eye level. However, if your goal is to get the maximum stability out of a tripod, the center column is pretty useless and you are probably better off without one. A tripod without a center column will be lighter and provide a marginally more stable platform on which to mount the tripod head. 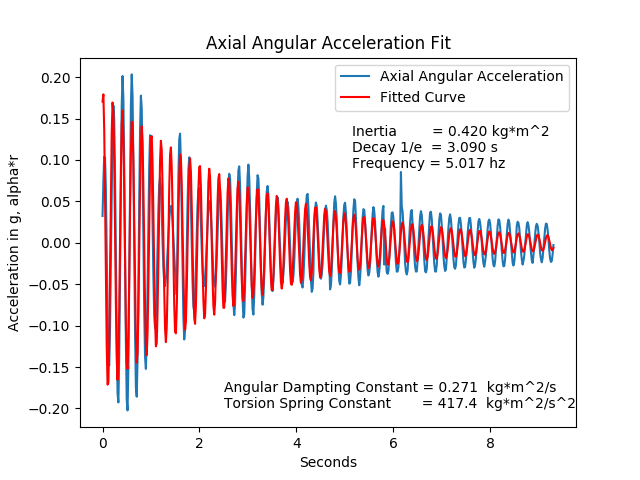 The decrease in the oscillation frequency is obvious, showing less stiffness. 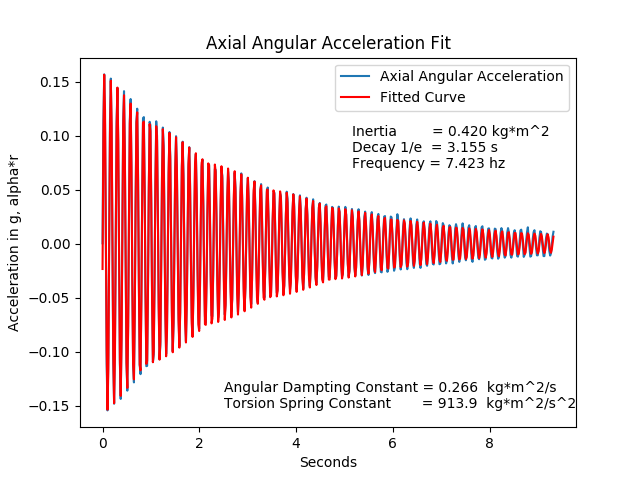 The damping appears to have decreased a little bit as well, though the fit is not accurately reflecting that.